The discipline of neurobiology was first formally represented on the Berkeley campus in the middle 1960’s when a Chancellor’s Advisory Committee on Neurobiology was formed at the urging of several prominent faculty members, including Gunther Stent, Horace Barlow, and Gerald Westheimer. By the early 1970’s, the neurobiology faculty had grown within a variety of departments (Physiology, Anatomy, Electrical Engineering, Zoology, Optometry, and Psychology), and a Graduate Group in Neurobiology was formed. A major reorganization of graduate education in Biology was initiated in 1980. By 1989, 13 small biology departments on campus were replaced with the Department of Molecular and Cell Biology (MCB). At that time, the discipline of Neurobiology was formally and administratively recognized by the University, when it created the Division of Neurobiology within the Department of MCB. But this recognition only took the process for organizing Neuroscience at UC Berkeley half way. By 1996, Berkeley Neuroscience was distributed across campus in many different departments. MCB’s Division of Neurobiology was established as the intellectual center for molecular and cellular neurobiology. Similarly, the Department of Psychology emerged as the de facto center for behavioral and cognitive neuroscience. The campus Neuroscience community needed to be unified. Starting in the mid-1990’s, we began to lay the groundwork for a much bolder and more interactive program on campus stretching from genes and molecules to behavior and cognition. This was felt to be critical since Neuroscience transcends the boundaries that define traditional academic departments and modes of education and support. Indeed, Neuroscience has emerged as its own multidisciplinary field, spanning almost every area of modern science from psychology to biology to physical science. In 1995, Helen Wills Moody (UC Berkeley class of 1925) endowed the Neuroscience PhD Program, a gift that brought researchers on campus together around a common goal to train the next generation of leaders in Neuroscience. Berkeley Neuroscience (formerly called The Center for Neuroscience and then the Helen Wills Neuroscience Institute) was created in 1997 under the leadership of Professors Carla Shatz and Corey Goodman to meet the programmatic needs for integrating the diverse campus Neuroscience community, to provide a home for new faculty appointed jointly with a variety of existing departments, and to oversee the Neuroscience PhD Program. The Neuroscience PhD program accepted its first class in Fall 2001. Since its inception, Berkeley Neuroscience has received significant campus support, enabling the addition of over 20 new Neuroscience faculty and the coordination of major Neuroscience research initiatives. 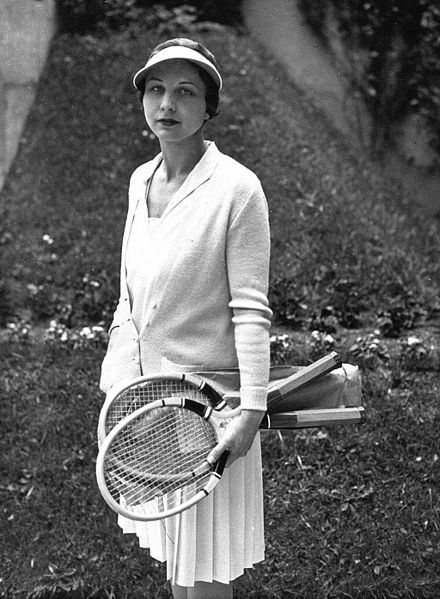 Learn more about Helen Wills, one of the greatest female tennis champions, and how she assisted in fighting the 1923 Berkeley fire.